This is entirely in character for the Herald. He gives absolutely everyone diminutive nicknames that he replaces two seconds later, so "Captain Jingo Hydra" is definitely in character. It'd have to wait for him to actually know he's jingoistic, though, and it'd have to be at around the same time as the body reveal. Otherwise, he'd say "Hail Hydra" at the initial appearance and then "Jingo Fett" at the personality introduction. @Offizier Necro wrote: This is entirely in character for the Herald. He gives absolutely everyone diminutive nicknames that he replaces two seconds later, so "Captain Jingo Hydra" is definitely in character. It'd have to wait for him to actually know he's jingoistic, though, and it'd have to be at around the same time as the body reveal. Otherwise, he'd say "Hail Hydra" at the initial appearance and then "Jingo Fett" at the personality introduction. I will try to make this happen. Perhaps personality then appearance in the same transmission or such. 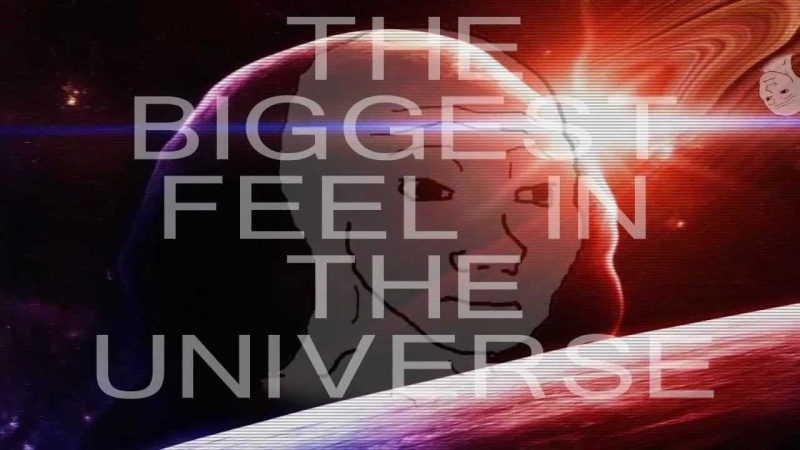 "Back in 6209, the great Freeman-Xengari War began. It was started by the Herald calling a Xengari captain funny names." So apparently if you don't come to the swarm, the swarm comes to you. The Herald shouldn't have sent that initial song, it brought too much of the spirit of Soviet Russia to them. Someone needs to teach the Swarm about friendship and love. @Vagrant Hero wrote: Someone needs to teach the Swarm about friendship and love. 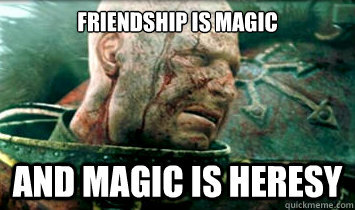 How about we replace the "friendship and love" with "obedience to the Overlord"? @Joe Joerson wrote: How about we replace the "friendship and love" with "obedience to the Overlord"? How about we replace the "obedience to the Overlord" with "VIVA LA RÉVOLUTION"? Why is everyone so unenthusiastic at meeting my cuddly little swarmlings? @Caspoi wrote: Why is everyone so unenthusiastic at meeting my cuddly little swarmlings? Yeah and I bet they know the true meaning of friends. But bananas are dead from before that. Also peeeling their skin seems a bit unnecessary. 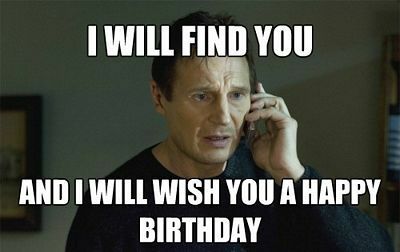 By the way it is my birthday today. 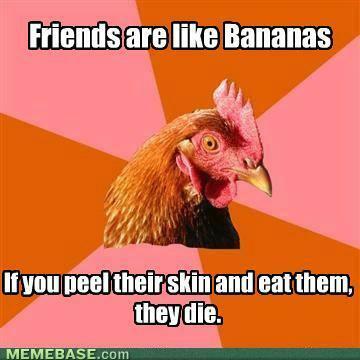 @Caspoi wrote: But bananas are dead from before that. Also peeeling their skin seems a bit unnecessary. 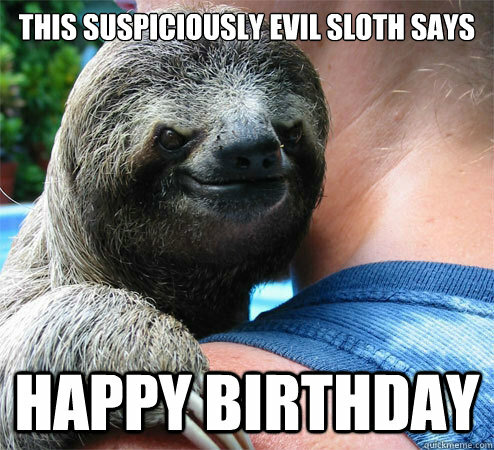 That last one is just because I like sloths really. As not a sloth in disguise. Just know that. Sloths are cool and you do not have an admin-sloth. Though admittedly an admin sloth sounds pretty cool, I mean they would take forever to change things or respond to feedback but Admin-Sloth. Anyway where was I? 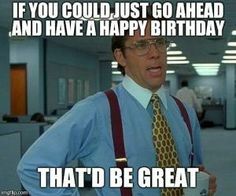 Oh right Happy Birthday! You have successfully not died for another year! Go celebrate with high sugar products and other unwise consuming. It only reduces your likely lifespan, which is actually a pretty big downer. Sloths are cool. I am not a sloth. Happy Birthday! Okay I am done now, I think I have rambled enough to appease my sloth overlords. Happy Birthday, I guess you want to celebrate in the normal Eogon way? Then I'm sorry, for I haven't created any piece of art today, so I guess this is my social death? @Zuko Darkborn wrote: Happy Birthday, I guess you want to celebrate in the normal Eogon way? Then I'm sorry, for I haven't created any piece of art today, so I guess this is my social death? Unless the normal Eogon way is to be devoured by Swarmlings I have no idea what that could be. Though if that was or became the normal Eogon way to celebrate Birthdays it puts a much brighter light to the Eogon who got devoured. Surprise Party! You should create the sloth-empire where people are extremely slothful and do very little. And does social death mean that one is eaten? Mayby the Eogon was devoured as a punishment for not having properly celebrated another's birthday. @Caspoi wrote: You should create the sloth-empire where people are extremely slothful and do very little. My god... he's done it. Happy birthday! Enjoy diabetes. Also, what's this about a Zootopia DMV empire? Short Description of Empire and History: Millennia ago in the distant past, the sloths created the first fire. They're still working on the second. The sloths shall know everything that happens in our great empires. And yet do nothing about it. Damn dirty hydras. Their militancy is false! When soldiers salute, you salute them back! I bet they don't even allow the besieged to surrender with their arms, or to wait their turn on the firing line. Theclans wrote: Damn dirty hydras. Their militancy is false! When soldiers salute, you salute them back! I bet they don't even allow the besieged to surrender with their arms, or to wait their turn on the firing line. Admittedly they wouldn't recognize that as a salute, nor would they be very much inclined to accept aliens as soldiers of any comparison to themselves, assuming of course that they accepted the Yuxun as soldiers and not just a rival band of pirates to the other Yuxun group. EDIT: As well they would only likely conform to alien expectations of treatment if it necessary.